Our Vision is to deliver Aotearoa New Zealand's best all-round education. Welcome to Wakatipu High School. Our mission is to deliver a ‘great all-round education that enables students to reach for their heights’ – and that is what happens every day at Wakatipu High School. The key priority in this great all-round education is student learning, progress and achievement, and our recent results are testament to the very high levels of academic achievement of our students. Wakatipu High School students achieve in both traditional academic subjects as well as in vocational pathways through our Careers, Trades Academy and Gateway programmes. In addition, we provide support in literacy and numeracy as well as a Gifted and Talented programme to ensure that the full range of our students reach their potential. As well as our academic foundation, Wakatipu High School offers students a wealth of ‘all-round’ extra and co-curricular opportunities in sport, arts, music, culture, community and leadership. 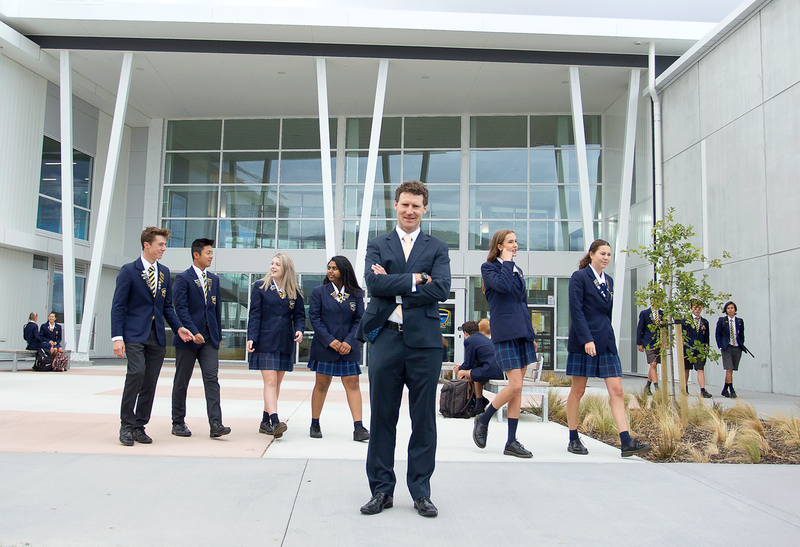 From our Ski Academy and rowing, to our jazz band, School Musical, Stage Challenge, Kapa Haka group, Model United Nations, Duke of Edinburgh, and trips and exchanges to locations such as Aspen, Japan, India, Noumea and France – we offer students an incredible range of opportunities in which to learn and grow, and develop into confident young people. Geographically the Wakatipu Basin is a unique environment, enabling us to offer outstanding Outdoor Education programmes including the iconic Year 10 Branches Camp. Our environment also attracts international students from around the globe, giving our students here the chance to learn and grow as members of a multicultural community - an opportunity normally reserved for larger urban centres. Students’ pastoral support is through our Whanau (House) structure and Deans, as well as our Kaiarahi and Guidance Counsellors. This structure also provides the basis for our very keenly-contested inter-House competitions. Well-governed by a very capable Board, and now very generously supported by the Wakatipu High School Foundation, Wakatipu High School is on an exciting journey - including the move to our brand new ‘innovative learning environment’ school in 2018. We welcome you to our Wakatipu High School community, where students truly receive a great all-round education enabling them to ‘reach for their heights’ in one of the most special places in the world. For the latest news and events happening at WHS, please visit our Facebook page: Wakatipu High School Queenstown. Finalise, and develop a strategy to implement and deliver the ‘WHS Ākonga Profile’ (see below). Develop and deliver education that promotes engagement, learning, progress and achievement on their pathway, for all students. Increase engagement, learning, progress and achievement for Priority Learners (including Maori, Pasifika and English Language Learners) in a culturally responsive and inclusive way. Set and achieve annual goals with the aim of continuing to raise student achievement to be in the top 15% of schools nationally by 2021. Provide a range of extra and co-curricular opportunities (including sport, outdoors, arts, cultural, community and leadership) which support the holistic development of students and in which all students participate and have the opportunity to excel. Plan and prepare effectively for growth. Have effective input into the second phase of the new school. Be in a financial position to support delivery of the strategic plan. Communicate effectively with our stakeholders and community. Engage with the community to provide opportunities for the great all-round education. Retain and develop great WHS staff, teachers and kaiārahi. Develop and maintain a positive and constructive staff culture. Implement and continue to develop a WHS pedagogy which supports the delivery of a great all-round education and optimises the opportunities of the new school. Support staff and students to teach, learn and work effectively in the new school.